When it comes to travelling, I tend to love places that feel like a blend of the real world and a fairy tale world. It’s the ultimate form of escapism – you can lose yourself in the landscape and for a moment, it can feel like you are in a storybook. 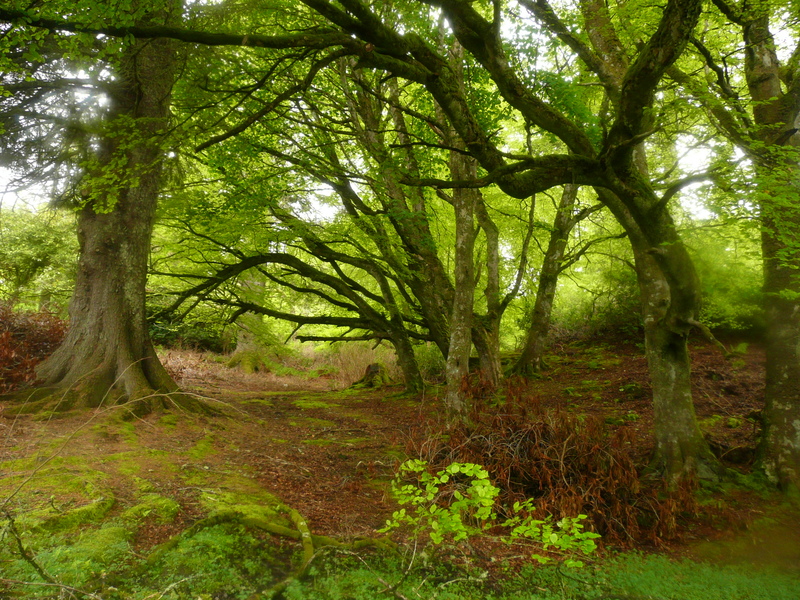 I grew up in such a place; when I was little, we would go for walks in the forest near my house and I would imagine that we would turn a corner and find castles and unicorns amongst the giant cedar and Douglas fir trees. I knew the difference between fantasy and reality, but I let my imagination run away with me. Even when I was older, I’d still dream that those trees could transport me to a whole other world. So, it’s no surprise that I’m always seeking out such places as an adult. The Harz Mountains in Germany, Sardinia, and the deserts of Arizona have all felt somewhat otherworldly to me. However, of all the places that I’ve been, few have captured that feeling of being between worlds quite so well as the Scottish Highlands. My boyfriend and I went there on a hiking trip. 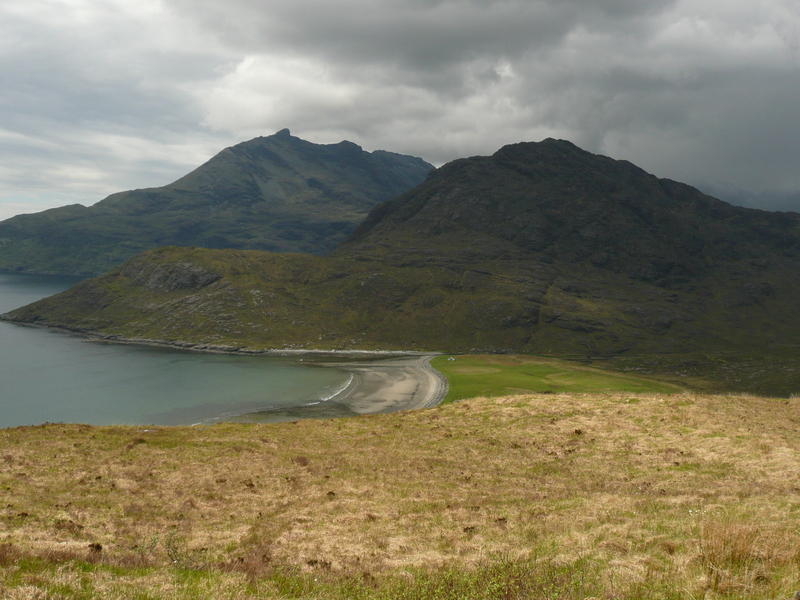 The original goal was to hike through the islands of Skye and Lewis and camp along the way. In reality, we ended up hitching a few rides and taking a few buses as well so that we could cover more ground. It was a fantastic place. 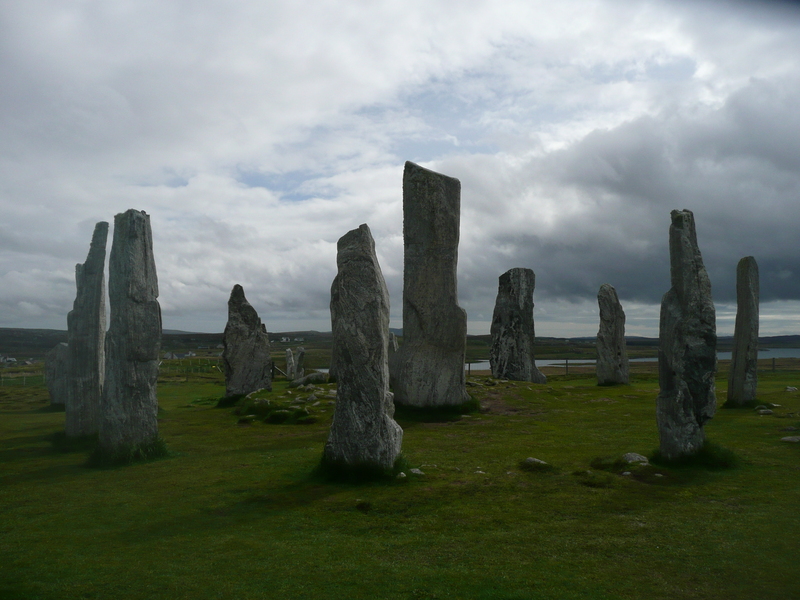 The people are very friendly and the Hebrides islands have a very rich culture. We fell in love with the landscape and even when it was challenging and rugged, it was a rich experience. I won’t recap the entire journey, because I’m saving that for other writing endeavors. The highlights of the trip included the fantastic train ride from Glasgow to Mallaig (supposedly one of the most spectacular stretches in the world), camping by a ruined house and waking up to an entire herd of sheep, hiking through the Cuillin Hills, getting followed by a herd of cattle, seeing the awe-inspiring standing stones in Calanais, visiting a historic “blackhouse” (a traditional style of house where many people on Lewis lived until around the turn of the century), seeing the harbour seals in Stornoway, walking through the green countryside near Loch Ness, and catching up with a friend in Glasgow (which isn’t in the Highlands, but it’s where we ended our journey). All in all, it was one of the most interesting, most inspiring places that I’ve ever been. Here are a few photos from the trip….enjoy! 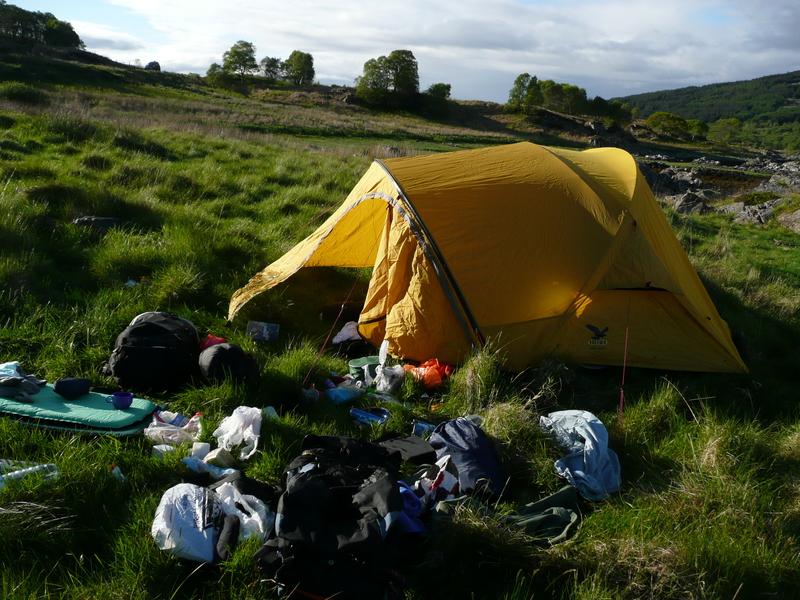 Our campsites were not this messy. I took this while we were unpacking our gear and setting up! It’s amazing what you can fit in your backpack. 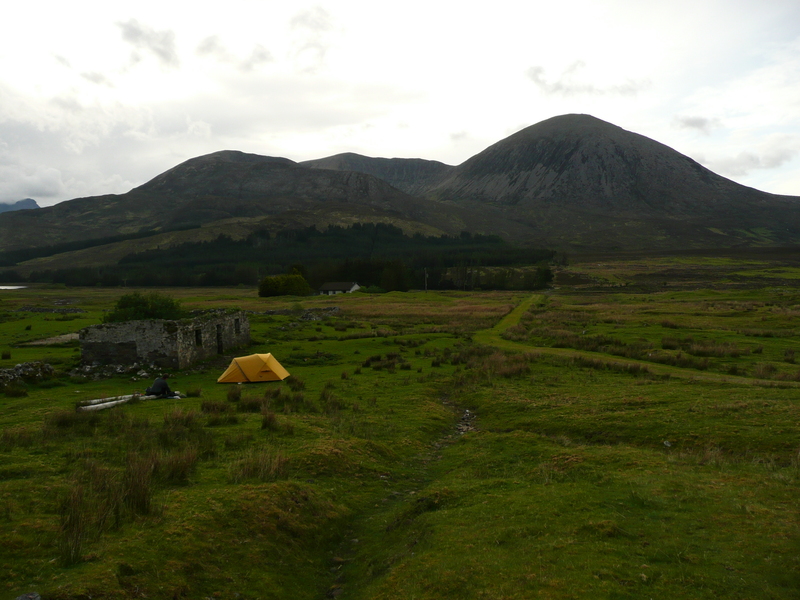 Camping near a ruined house in the hills. The cattle that followed us. 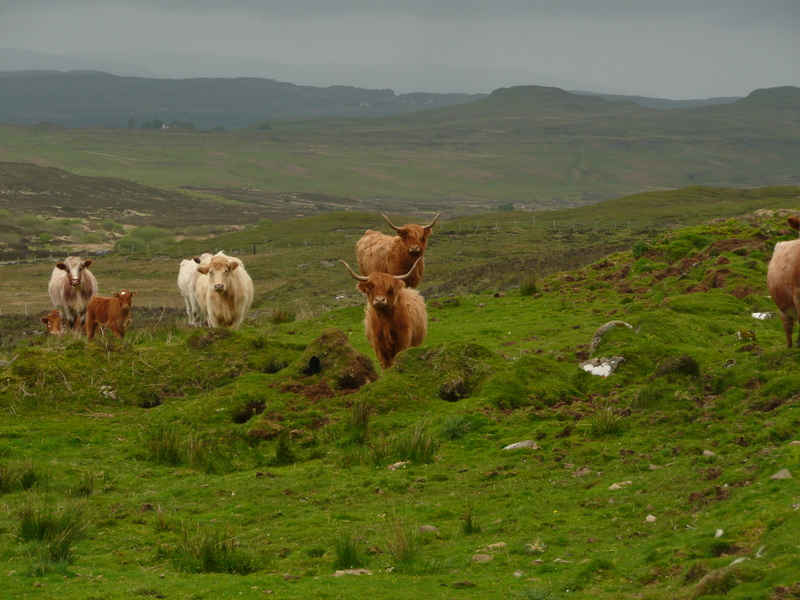 The bushy ones with horns are Highland cattle. 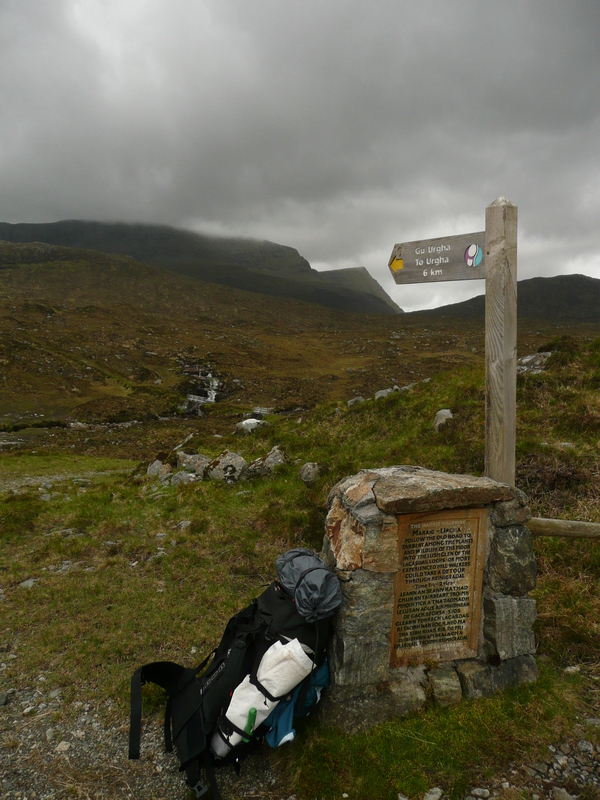 Taking a break near a signpost. 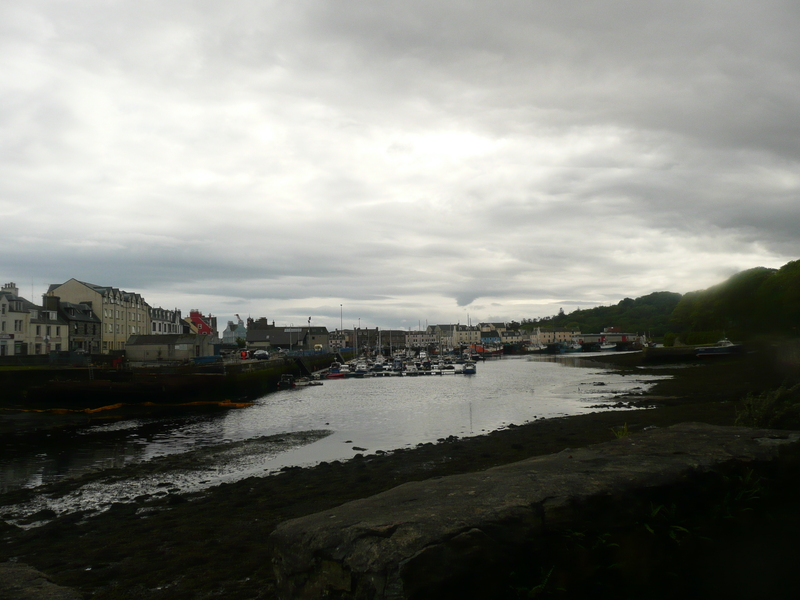 View of Stornoway through the other side of the harbour. 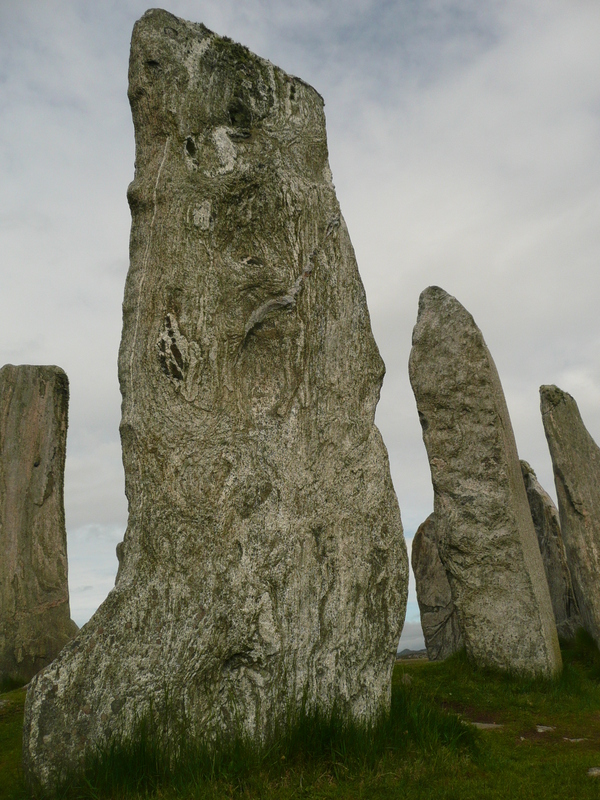 The stunning standing stones at Calanais. 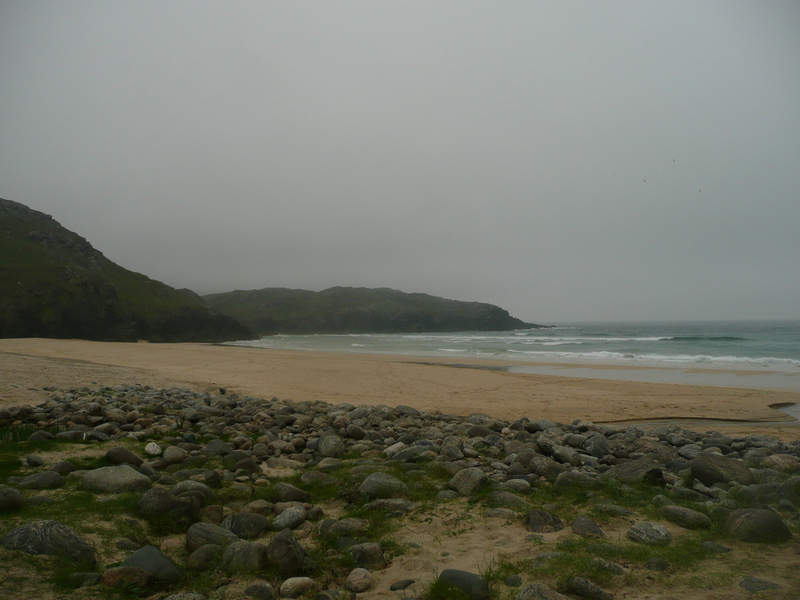 A beach we camped near at Dal Mor. 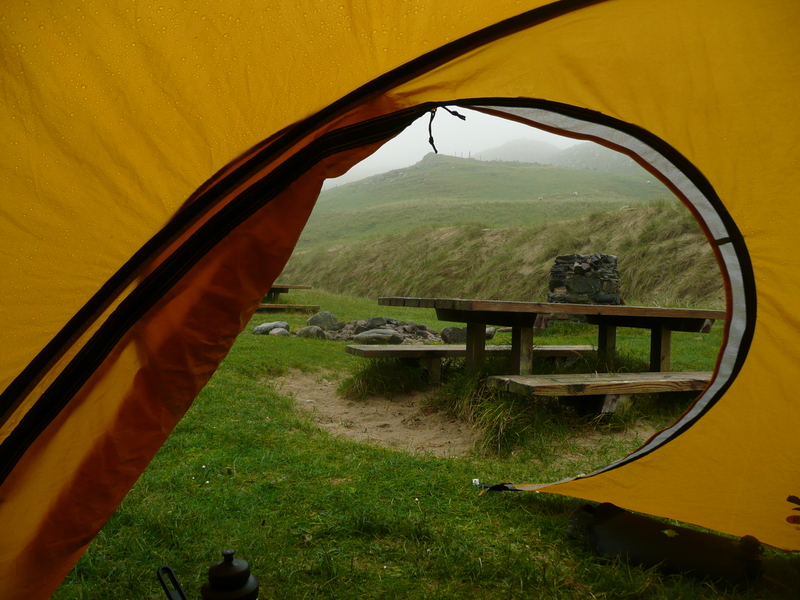 Looking outside the tent on a rainy evening. 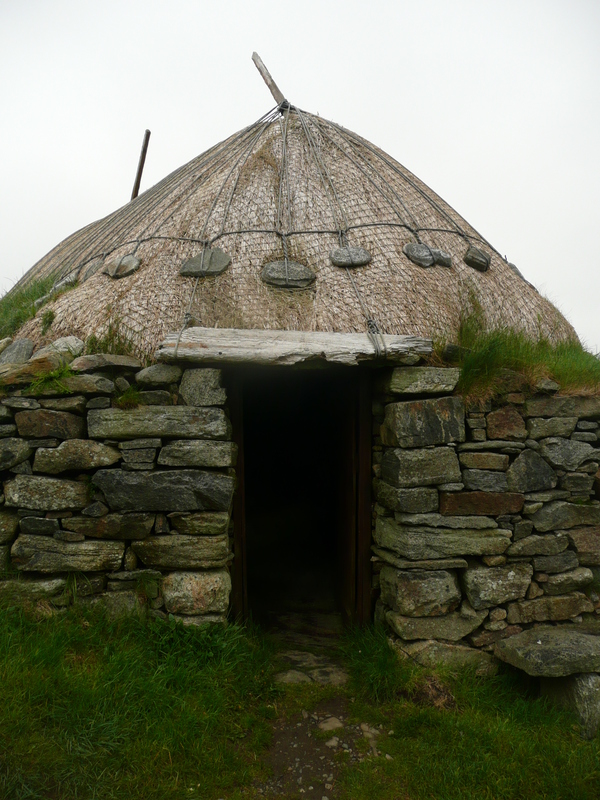 A traditional “blackhouse.” This one was actually used as a mill in its day, but most people lived in these. 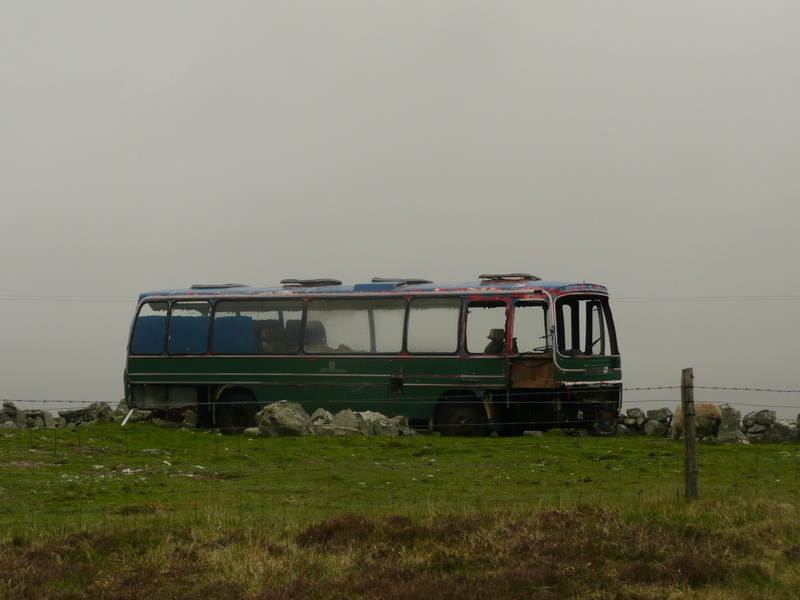 A ruined bus in a field we hiked by. We got lost shortly after this picture was taken. For such a small country, Scotland certainly has its share of bleak, desolate places… which still supported the populace and provided a living. Your roots, btw, are from the east side of Scotland, the Howe of the Mearns. It’s farm country but it too has bleak, dramatic areas. Maybe the next trip…? It didn’t really feel bleak when we were there. It was overcast most of the time, but we had a lot of sunny breaks too. The rolling hills of heather were really quite beautiful and the coastlines in that part of the country are spectacular! I’d definitely like to explore more of the country. ← Can You Ever Stop Being an “Expat”?